The silly shtick aside, this video explains the contentious issue of Global Warming perfectly. Watch here. 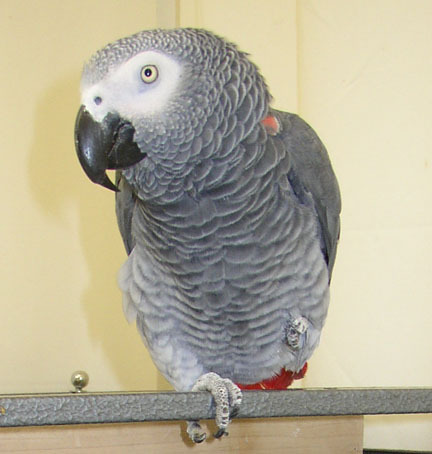 Alex, a parrot that had a way with words, has died. I'm no expert but I've read that more pure science would come from a continuation of the Hubble telescope, for fewer dollars, than Bush's headline grabbing initiative to go back to the moon. NASA has said that they cannot provide safe transport to the orbit the Hubble uses with its limited resources. Maybe, maybe not. Could it be political spin? The cynic in me wonders if NASA has pressures of its own leading them to abandon a truly spectacular achievement in favor of pleasing the master who fills its bowl. 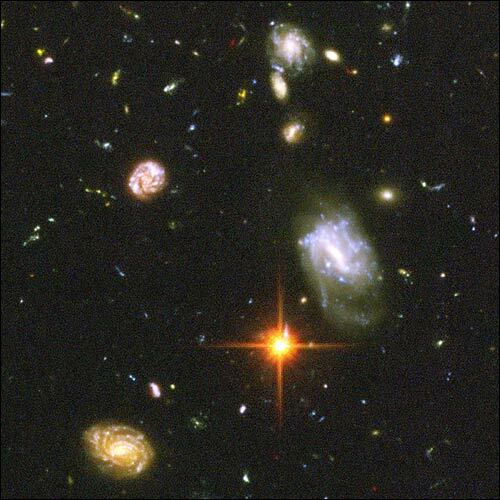 The Hubble Space Telescope has imaged the deepest view ever of the cosmos, detecting the oldest and most distant galaxies ever seen by astronomers. The first world leader to bring discussion about global climate change to the international table, ironically, was the conservative Margaret Thatcher. In the US today conservatives today lead a chorus of skepticism against scientists who publish findings of measurable climate change. Among scientists, there is contentious disagreement about the interpretation the the data, and fixing causes, effects, and consequences of the data. In the UK, the government's chief science adviser calls global warming a greater threat than international terrorism; while in the US, James Inhoff (R-OK), head of the senate committee looking into climate change calls it "possibly the greatest hoax ever perpetrated on the American people". The Bush administration has interferred in presenting the case made by scientists to the public insisting on changing language and altering conclusions. The Oil industry lobby peddles its influence in the name of the economy and funds studies used challenge claims by climate change researchers. In short, it's become nearly impossible to know what to think about global climate change except that America's dependence on fossile fuels is at the heart of the controversy. Here you will find an excellent BBC Radio 4 two-part program about the politiciation of public discourse about global warming. 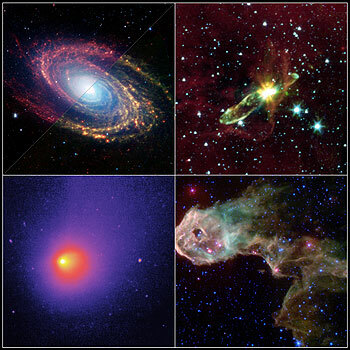 NASA unveiled the first views yesterday from its space infrared telescope, a super-cooled orbiting observatory that can look through obscuring dust to capture images never before seen. Earth comes closer to Mars this month than it has in nearly 60,000 years. The fiery red planet will begin to appear this week during bright evening twilight. On Aug. 27 at (9:51 Universal Time), Mars will be slightly closer to us than it has ever been in recorded human history--a mere 34.6 millions miles from Earth. This is because its closest approach to Earth almost coincides with its closest approach to the sun. Finally on Aug. 28 it will be at opposition -- opposite the sun in our sky and therefore visible all night as it crosses the southern sky. It will far outshine everything in the sky except the moon. To the naked eye, Mars will appear to be a blazing star-- the brightest object in the southern sky. With a telescope or even binoculars viewers will see, weather permitting, a vivid picture of its surface, including the brilliant white southern ice cap. The viewing already is exceptional in the early evening hours. By Wednesday it will be at its peak. 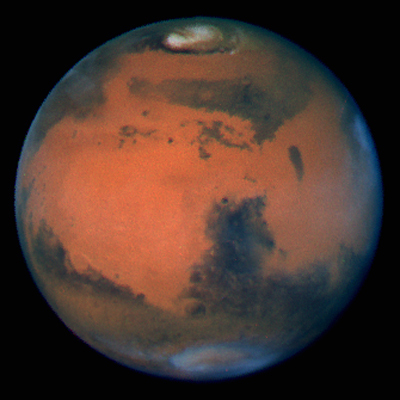 But Mars will remain distinct in the sky through the end of September. Humans could be living on the Moon within 20 years. "We believe that technologically it's possible but it will depend in the end on the political will to go and establish a human base for preparing for colonisation of the Moon or to be used as a refuge for the human species."